You’ve been lucky enough to find a unique piece of driftwood that you want to use for a project but now how do you clean it? The forces of nature may have already removed much of the debris and hopefully, left you a nicely weathered and smooth finish to start with but you still need to be able to remove the dirt, mold, parasites and other critters that may be lingering in your driftwood. If you’re using your driftwood for an aquarium, you will need to use a natural process to clean driftwood without any chemicals. If your pieces are small enough, you can boil them but you may split and crack the wood. A better way to clean driftwood, and one that you can use regardless of whether you use the driftwood in an aquarium or not, is the slow soaking method using distilled water. Scrub your wood with a sturdy scrub brush to remove loose debris and surface dirt. Fill a large container with enough distilled water to cover your wood. I suppose one could use a bathtub if you don’t have a large container but I’m not sure what may be left behind in your tub once the process is finished. 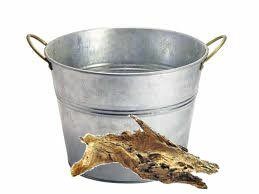 The driftwood needs to soak, fully covered, in the distilled water for at least two weeks, and you will need to change the water several times when it becomes dark with the leached tannins. The tannin is what gives the wood its color and we want to get rid of as much color as possible in this process, along with any other critters. You can place a large rock or something heavy to hold down your driftwood while it soaks. After two weeks, remove the wood and place it somewhere where it will be able to dry undisturbed in an environment with low humidity. Once it is dry, you can use it for whatever driftwood project you wish. 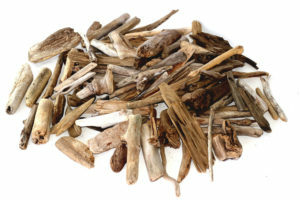 Mix a solution of one part bleach to nine parts water and fill a large container so that there is enough solution to completely submerge your driftwood. Place your driftwood in the solution. Soak your driftwood for 3 or 4 days, changing out the disinfecting solution each day. Remove your driftwood and let it dry undisturbed in an environment with low humidity. You should not use clean driftwood that has been chemically bleached in an aquarium with live plants or animals. For this style driftwood candleholder, you will want to have enough clean driftwood pieces to go around your glass container candle – 10-20 pieces to chose from depending on the size of your glass container . It’s best to use 1″ thick linear pieces rather than awkward shaped driftwood pieces. inches taller than your glass container. Either way looks great. Saw off the ends of each piece so they will line up evenly at the bottom around the your glass container while still giving you the height you want. Now one by one, line up a piece with the bottom of the glass container and begin gluing. Continue until you have completed the circumference. Wait until the glue dries according to the package before using. You may wish to dress up your container with raffia or twine. A great decorating tip is to create three of these candleholders of various heights for use in displaying. 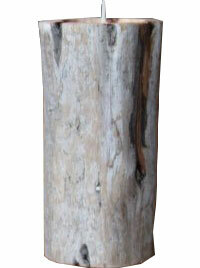 Suppose you have a wonderfully unique piece that is too big to use for the first style candle holder but you really want a driftwood candleholder. If you have a piece that will sit solidly on a flat surface without being “tippy”, then this is a good option for making your unique driftwood candle holder. Lay your driftwood piece on a flat surface and determine where you might want to put one or more candles. Space them out so they won’t cause a fire hazard when lit. Once you have identified where you want the candles, mark the center. Now secure your driftwood and drill your holes using the hole saw drill bit to match the size of your votive or tin candle holders. Drill no more than 1/2″ for tin tea lights. You can drill deeper for votive holders. You want to make sure that the hole is not so deep that a lit candle will catch the surrounding edges of the driftwood on fire. I’ve seen this style used with elaborate pieces and many candles, as well as with one hole and one simple candle – and they are all beautiful. Cut both ends of your driftwood so both the top and bottom are flat. Using the hole saw drill bit, drill a hole in the center of the top deep enough to fit your tin or votive holder. Insert your votive or tin. 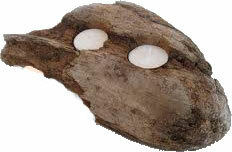 This style looks best when the votive or tin sits almost level with the driftwood surface. A great tip is to make three of this style in various heights for a great display. 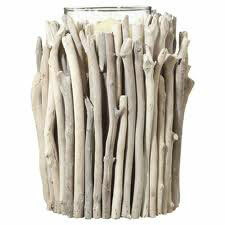 There you have it – a driftwood candle holder style for everyone! Driftwood can be used to create all sorts of beautiful items, such as mirror or picture frames, lamps, rustic-looking clothes hangers, candleholders, or even excellent centerpieces for weddings and focal pieces for landscaping. The list is endless if you use your imagination. But most of us don’t live right on beach so where do you get driftwood. If you’re interested in collecting driftwood as a hobby, or as a way to make some extra cash from time to time, then read on, and learn how and where to get driftwood treasures. It’s actually pretty easy to make your own driftwood at home and we’ve created an easy tutorial if you want to go that route. One of the advantages of buying driftwood, is that you can look at the pieces on offer, and choose the ones that suit your needs best. Driftwood pieces of all shapes and sizes can be bought from craft and hobby shops, florists, souvenir shops, aquarium shops, at flea markets, on eBay, and at many other online stores. The downside about buying pieces of driftwood is that they can sometimes be rather pricey, especially if you are browsing through online stores. Some of the pieces advertised online can be big and heavy, and shipping costs can add a significant amount to the actual price of the item that you want to buy. Prices vary a lot but you need to keep in mind the shipping costs. DIYDriftwood now has a small shop that sells driftwood pieces good for making projects such as candleholders, birdhouses, mirrors, garlands, Christmas trees, wall art, driftwood balls and other items where you might need pieces ranging in size from 2″ to 12″. 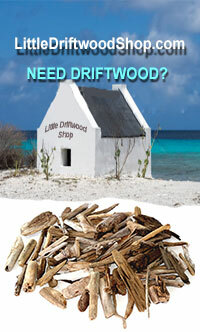 Visit our new driftwood store www.LittleDriftwoodStore.com if you need driftwood pieces. Etsy.com is also a good source for different size pieces of driftwood at reasonable prices. If you live in Australia and need a source for driftwood you can try ElaLakeDesign an Etsy seller in Australia. Apart from the fact that finding your own driftwood won’t cost you anything at all, it is also a great way to spend a few healthy hours in the outdoors – either on your own, or with your family or friends. 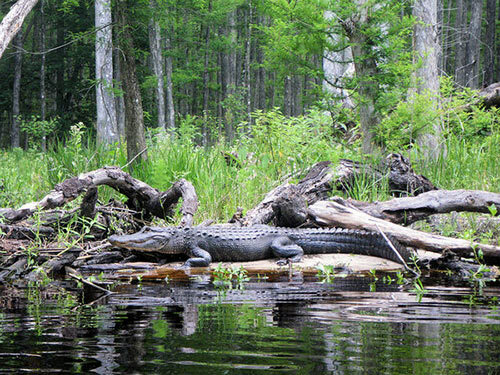 This is because most driftwood is found along riverbanks, at the edges of lakes, or along the beach. A lot of people have the misconception that driftwood can only be found on a beach but riverbanks and around lakes are all good places to get driftwood. I’ve even found beautiful pieces in swamps – I believe this is referred to as “bogwood”. Once I soaked them in bleach, cleaned them up and let them dry in the sun for several weeks, I actually had some very unique driftwood or “bogwood” pieces – some were even petrified wood. The best time to find driftwood on the beach is early in the morning or late afternoon, after a storm, or when it is low tide. All sorts of debris will have been washed up onto the beach, including rusty nails and jellyfish, so it would be a good idea to protect your feet with a pair of beach shoes. You may also have to do a bit of digging through the debris and sand to get to a piece of driftwood that catches your eye, so if you don’t like getting your hands dirty, bring along a pair of gloves as well. Having a bag is a good idea, because those prized pieces of driftwood that you find can become rather awkward to haul around as you stroll along the shore. 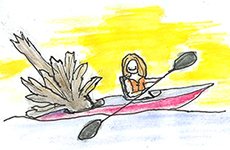 I see a lot of beautiful driftwood pieces here in Florida when I kayak in the coastal areas. Unfortunately, my kayak cannot hold the larger pieces I’d love to cart home. These are the times I wish my kayak was a canoe. You also need to be aware that some areas are protected and you will not be allowed to carry out driftwood or anything else for that matter. Beware of protected natural areas, parks and private property. Public beaches and waterways are fair game. Once you find a great spot, you may be the one selling to others on line and making a handsome profit. Some pieces are so unique and beautiful that they can fetch a hefty price from a willing buyer. You may need to clean your driftwood before using or selling it. Knowing where to find driftwood, as well as a vivid imagination, will allow you to create those beautiful, interesting pieces of art for your home or to sell online, at a craft show or flea market. If turning a flea market find into a beautiful piece of driftwood furniture is more what you’re looking to do – try applying Driftwood Weathering Wood Finish to bare, unfinished or sanded wood to create a beautiful driftwood finish in 15 minutes without a lot of fuss. To me, the beauty of driftwood comes from having its surfaced worn away, bleached and sculpted by the elements. Real driftwood would never have an intact shiny finish. I definitely prefer a non-shiny finish in the pieces I create from actual driftwood found along the shore or even furniture pieces I have stripped down, sanded and re-created with a driftwood finish. Nonetheless, there are times when you may want or perhaps need a protective finish like when you have a tabletop that will get lots of use and will be subjected to water marks if not protected. I’ve contacted many woodworkers and companies that specifically make finishes in an ongoing quest to find a good product that would ultimately protect the finish while not darkening the color. 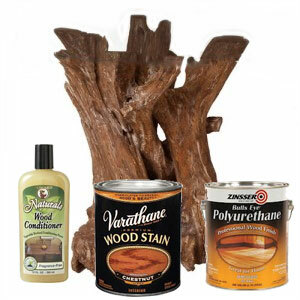 A lot of people will use polyurethane on their driftwood furniture or even driftwood sculptures. This is one of the worst looks in my opinion. The polyurethane tends to be heavy and makes it look artificial and plastic-like. So what does one do? I have found that lighter woods such as pine or birch handle some protective coatings better than others. And by better, I mean the color you get once you apply the protective finish does not get as dark as other woods, but still gets darker. I tried a product called High Performance Top Coat by General Finishes in a satin finish and I applied it over the Driftwood Weathered Wood Finish used on a piece of pine, birch and walnut. I was happy with the outcome on the pine as it was only 1-2 shades darker, but the walnut was 10x darker and even the birch became too dark for my liking. So, I would recommend this finish if your driftwood piece is pine. I also tried another product called Safecoat® AcriGlaze Matte by American Formulating and Manufacturing (AFM), a company dedicated to safe green products. I ordered a sample bottle and tried the product on different sample boards of pine, birch and oak over the Driftwood Weathered Wood Finish. I was very happy with the results considering everything else I have tried produced a very dark finish. With the AcriGlaze Matte, I could see where I had applied the product but it really didn’t darken it by much and left no shine. On some samples, I could not even tell I had applied any finish at all. 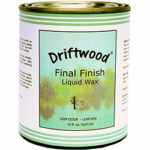 I am impressed with this product and would recommend it for use on bare driftwood or over a driftwood finish. The above link will take you directly to Amazon where it can be purchased in quarts or gallons but make sure to get the matte finish. DESCRIPTION: Safecoat® AcriGlaze is a special mixing medium and finish suitable for use in the display, art and show fields. It is mildew resistant, odorless and dries clear. Ideal for restoring old finishes to their original brilliance, sealing and preserving painted work, faux finishing and as an adhesive for paper mache. Dries clear. Available in gloss and matte sheens. USE ON: Clear finish for masonry, brick, plaster, wood, paneling, etc., where a soft low luster finish and sealer is desired. May be used both interior or exterior as a reducer for any type of waterbased paint. Excellent medium for artist colors and universal tints. Another suggestion, although I have not tried this and could find very little info on the internet to make me want to try it, is to dilute authentic hide glue pellets with water – 1 part glue to 10 parts water and apply. Again, I have not tried this but I did buy the glue and I will try it at some point in time. 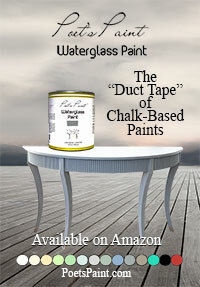 Another option might be Rust-oleum’s fairly new product, Neverwet which can be used on wood. I did see raw pieces of pine that had been sprayed with the Neverwet. It definitely resisted water but I did notice the “haze” which Rust-oleum states you will get. It might be acceptable on a driftwood piece that already has a bleached out and grayed look – the haze might not be as noticeable. It could be a viable solution to get a protective finish against water marks. You will have to periodically re-apply the Neverwet if you are constantly washing off your table top. The other big consideration is that it may be an unacceptable health risk. If you still want to finish driftwood so that it is protected and preserved for years to come, and don’t mind the “shiny” look – read on. You will need to begin by smoothing the surface of the wood using something like a 220 grit sandpaper to take off any rough spots. Nature will already have done most of the hard work for you, but there are usually a few spots that need a little bit of extra work. If the particular piece of driftwood you are working with has any sharp or broken ends, then these too need to be sanded away, to create a rounded and smooth surface. Next, you will need to treat the wood before it can be stained – if indeed you are going to stain the piece. For this you can use a wood conditioner, but do not apply it directly to the wood. Instead, soak a cloth in wood conditioner and then rub it into the surface of the driftwood. Once the wood has been generously coated, leave it to dry for 15 or 20 minutes. Some people are tempted to skip this stage and move straight on to staining their piece. Do not be tempted to do this. Applying a wood conditioner is essential to ensure that, when the stain is added, it will create an even finish. Time to apply a stain to your wood. You will want to put on rubber gloves for this step, so that you don’t end up with stained hands and, as with the wood conditioner, put the stain onto a cloth first, and then rub in into the wood. Apply any stain with a circular motion and rub it well into the wood. Once applied, leave the stain to soak in for between 5 and 15 minutes, depending on how deeply stained you want the wood to be. Once you have the color you are looking for, rub any excess stain off using a dry rag, and set the wood to one side for several hours, until the wood is dry when you touch it and no stain comes off when you run your fingers along the surface. The final stage is to apply two thin coats of polyurethane to the whole surface of the driftwood piece, allowing 6 to 8 hours for the first coat to become dry before applying the second coat. Keep in mind that applying polyurethane or even beeswax polish will darken your finish considerably. I would test an area first if possible to make sure you like how dark it will become. Your driftwood will now last for years and provide you with a wonderful and uniquely sculptured ornament to enjoy.